There are numerous ferry crossings operating from Aland to Sweden. Ferries currently connect 3 ports in Aland with 3 ports in Sweden. There are a combined number of 16 ferry crossings each day across a selection of 5 Ferry Routes which are operated by 4 ferry companies including Tallink Silja, Viking Line, Finnlines & Eckerö Linjen with the shortest crossing taking around 1 hour 45 minutes (Eckero to Grisslehamn). This is a general summary of the services on offer between Aland and Sweden, for live information select from our Fare Search. Aland is an autonomous region of Finland in the Baltic Sea between Sweden and Finland. The archipelago forms the smallest region of Finland and constitutes around half a percent of its land area and population. 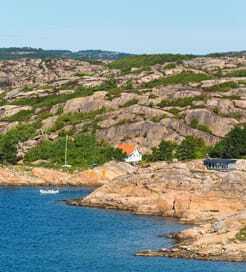 Aland consists of 6 municipalities and is made up of about 6700 named islands and around 20,000 islands and islets. 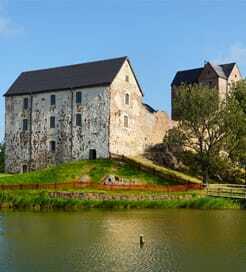 The capital and main city is Mariehamn which is located on the main island. Mariehamn, Langnas and Eckero are where the majority of the ferries dock. Although Finland is member of the European Union, the Aland Islands are exempt from EU tax regulations so many ferries travelling in the Baltic Sea are able to sell duty free goods, providing they stop off at Aland along the way. This has resulted in some of the most luxurious ferries being used to travel via the islands as well as producing a thriving day cruise market. The income generated from tax free shopping is so high that ticket prices on some routes would increase by up to 1000% without the stopover in Aland.